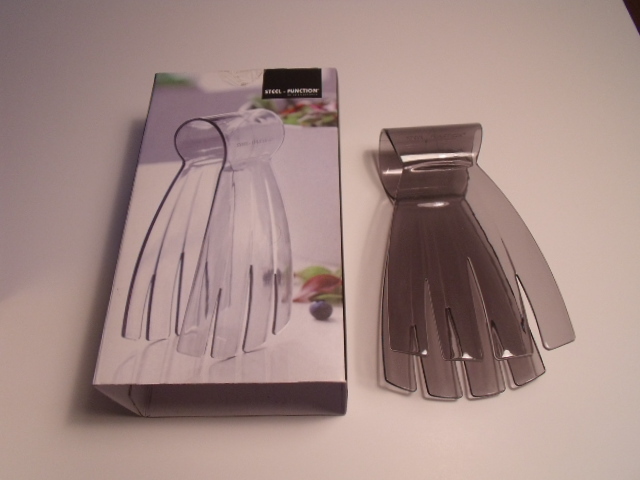 Useful salad server in a lovely gift box. 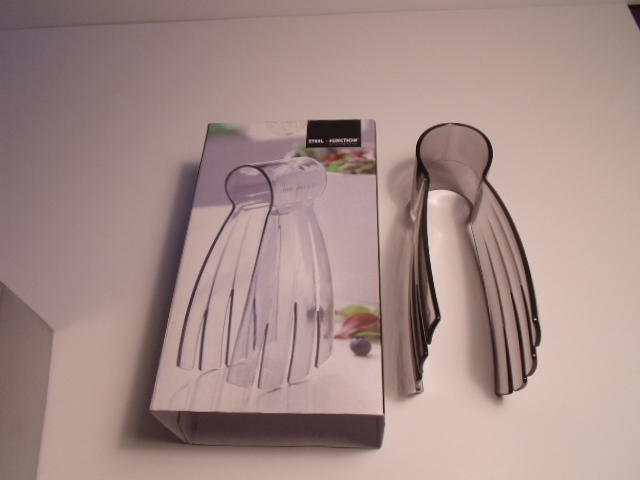 Indispensable in every summer kitchen. 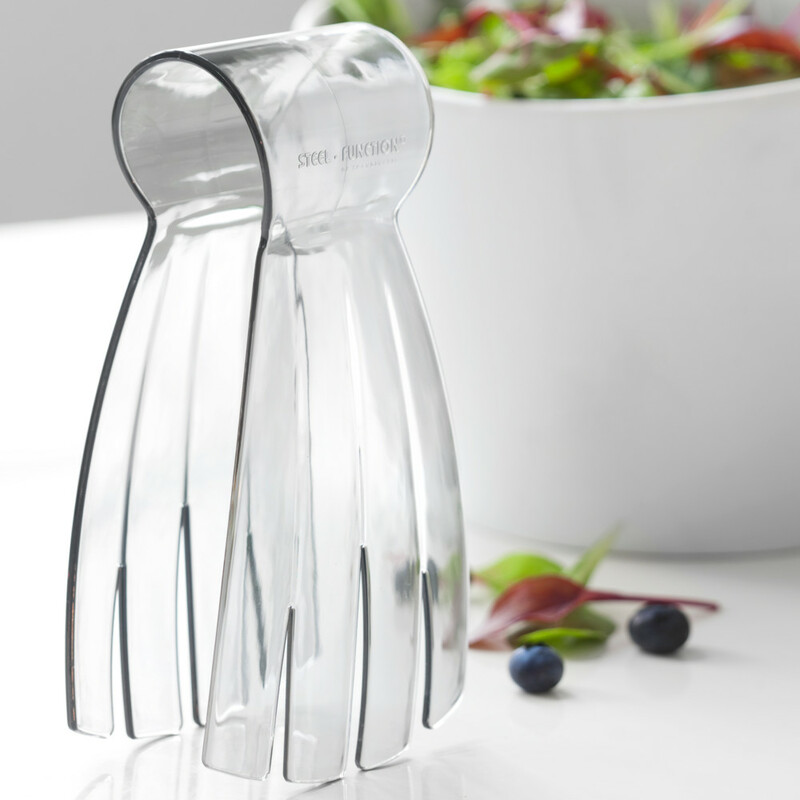 This salad hand is a one piece server designed by Steel-Function to facilitate the serving, compared to the traditional two piece salad servers.